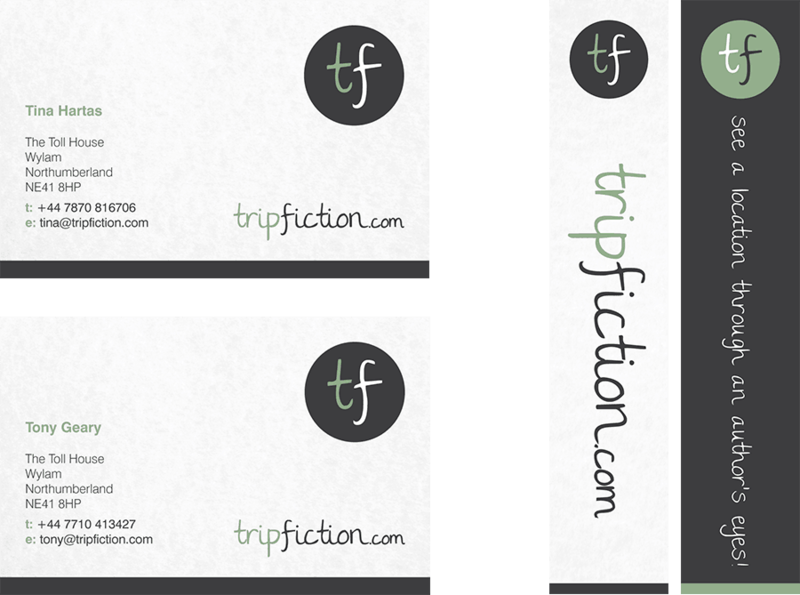 TripFiction is an online book directory with a difference: It is aimed at location based fiction enabling users to search for a title based upon where the story takes place. Web design agency Urban River was approached to redevelop an existing website with enhanced functionality to create a site which looked better, was easier to use and one which was accessible across a variety of devices. We worked with TripFiction to plan and create an entirely new digital presence with the creation of a new identity and the start of the development of a brand. The overall site needed to look and feel like an app although be built as a website to handle the large amount of content. 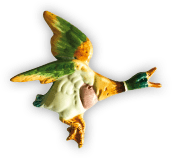 We considered an overall approach including offline promotion coupled with the development of an SEO and social media plan suitable for TripFiction to implement. The key objective of the site was to create something which provides a great user experience. 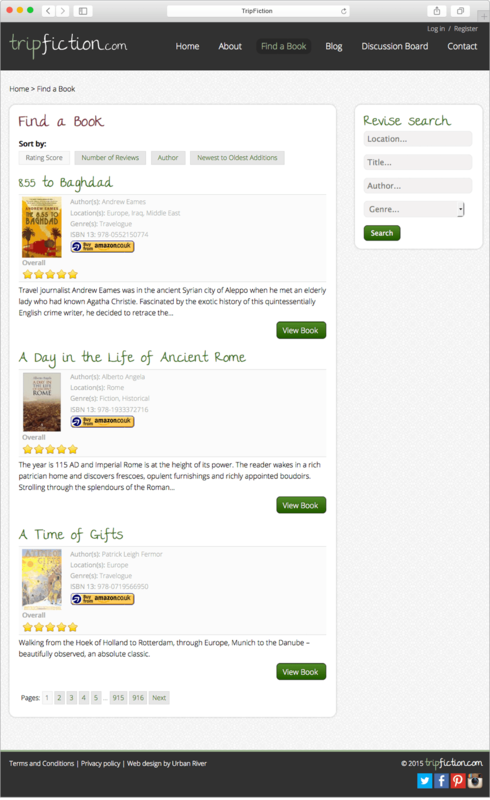 Given that there are in excess of 4,600 books stored on the site, Urban River needed to create a simple, but detailed user interface to enable a visitor to search by location, book title and author, read a review, post a review, create their own reading list by adding it to their backpack and also have a link to buy the book directly from Amazon. The site is fully responsively, incorporates SEO and a blog which has been used to great effect. The site has received rave reviews and generated publicity from Elle Magazine, The Guardian and newspapers in Canada and Australia. Traffic continues to develop and the user base grows on a daily basis. Advanced searchUsers can search for books by location, title, author or genre. SortingUsers can sort by rating score, number of reviews, author, or by newest to oldest additions. Purchase booksBooks link off to amazon.co.uk for users to purchase. “Right from the start of our relationship Urban River demonstrated a real understanding of TripFiction and our concept. They talk human speak, not computer speak. They designed, and then executed, an attractive and successful website for us and we have really seen visitor numbers and engagement grow”.